Sport England's Small Grants is just one funding source that can be accessed. Grant funding is available for a wide variety of sport and physical activity projects. There is also funding which individuals can apply to for community projects. 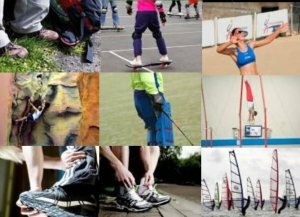 Have a look at the funding news pages for the latest updates on grant funding for Sport and Active Recreation. Short term grant programmes, grant funding workshops and announcements from the larger grant funding organisations are all included here. Sportivate funding is a popular resource for community-related sports projects across Derbyshire, while Primary School PE and Sport Funding details what is available to headteachers of Primary Schools. Watch our Powtoon, which explains how Derbyshire Sport can help you apply for a grant. Contact Edwina Archer at Derbyshire Sport if you need advice about grant funding for sport / physical activity. Derbyshire Sport has set up a bid writing service. Therefore, if your club / organisation does not have the capacity to write a grant application, please go to our Bid Writing Service webpage to find out more. Derbyshire Sport has set up a bid writing service. Therefore, if your club / organisation does not have the capacity to write a grant application, please go to our Bid Writing Service webpage. See the Coaching Derbyshire pages for information about coach bursaries. The Funding Finder search engine below provides the opportunity to search grants listed on other CSP websites, as well as Derbyshire Sport's.